Here's a trailer for Wil Wheaton's new web show on Geek & Sundry which airs on Monday 2nd April. 3d6 allocated as you wish (unmodified rolls below 7 are ignored as they're not heroic enough) if you don't meet a class minimum I'll allow a couple of points to be traded between stats. 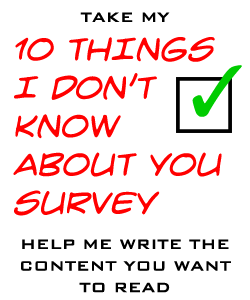 If a modified score drops to 7 or below as a result of age or race modifiers then it stays. If a PC was trying to do something stupid or after repeated DM warnings then they'll most likely die. If it was something heroic or their PC background compelled them then they'll probably live... Maybe. As soon as you hit 0 HP you are considered incapacitated, go below that and you are dying of bloodloss at -1HP per turn until you hit -10 HP were you are dead. A heal or a first aid can bring you back to 0 HP from where you can heal normally or magically. Restoration of missing body parts can only be done through magical or divine means. Absolutely, but its hard, rare and usually against the law. If it happens to a PC then then they will return with an extra quirk which, as the DM, I can use to compel the character. After all, the Reaper must always be paid. I don't tend to kill off pcs (as a result of Q2) but if it happens then they will have to play an NPC until there's a suitable plot point to inject the character of their choice. I will often suggest a class to play depending on the party dynamic/class mix or if the dead PCs player was actually trying to play a different class when their PC died. I use record cards to track combat so every PC gets to roll their own initiative. Major NPCs get their own individual cards but minion NPCs and monsters who attack in groups only get one card and therefore one initiative roll. I allow PCs to hold their action, but their card (and consequently) will get placed back into the initiative stack in this new order and stays there unless they hold their action again until the beginning of the next combat round. As a result they will effectively miss a combat action, but this effecitively models them "waiting for an opportunity" and is a suitable penalty for making me work harder. 6. Are there critical hits and fumbles? How do they work? Yes. 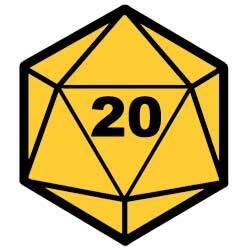 PCs get critical hits and fumbles on rolls of natural 20 and 1 respectively, Monsters and NPCs can never score critical hits, only fumbles. I don't adjust these target values by weapon type but skills and abilities such as marksman or battlerage may lower the critical target to 19 or at very best 18, fumble targets only ever get raised above 1 if the PC is subject to a bad luck curse. I use my Decision Deck to suggest a theatrical effect for both critical hit and fumble which I can modify depending on the weapon or attack used. The decision deck effects are ranked in three grades minor, major and fatal and range from just missing an action or being stunned for a few rounds to losing a an eye, limb or being eviscerated on the spot. Yes, you get an armour bonus but there can be other non combat advantages such as disguise bonuses or if they are of horrific or terrible design, bonuses to intimidate or opposed morale checks when worn. You bet, but I will stop short of allowing your stupidity to kill another player, let's hope you don't fumble though. Most encounters are designed to be challenging for the players, but utimately achievable. However, if the plot requires, for example, that they have a certain artifact in order to defeat the major boss then they'll have to run away. I occassionally "steer" my players towards a solution by using an impending massively scaled threat, but these are few and far between. To be fair I've not tried it so far as I've always thought it an administrative nightmare, but I liked Tim Brannan's recent article on the subject Undead: I don't like Level Drain and am itching to give his suggestions a go. No, partly as a result of observing the "rule of stupid" (see Q2) and partly because I hate entirely random deaths. Anecdote Alert: I once played this sci-fi game where immediately after we had spent an hour rolling up characters we were began teleporting down to the surface of a planet. The DM said that the teleporter was not 100% effective and lo and behold a PC fumbled their roll (which the DM actually rolled anyway) and they got turned inside out. What the DM thought they were achieving by doing this is unknown, but what they actually achieved was a 20 minute lag for everyone whilst the unfortunate player rolled up another character. I have recently taken to using my Item Cards to track PCs equipment but this is mostly so that players manage the items that they've got in their hands, are wearing or have stowed in backpacks (or in their saddlebags which are on their horse which is outside the dungeon (or in the dragons belly!!)). Each card has a relative encumberance value and from time to time I check the total encumberance and the number of cards. I tend to award XP in the natural lulls between sections of a campaign. Spellcasters will acquire new spells or prayers as and when they encounter other spellcasters or find tomes containing them. These may be of a level above that which they can cast and they will only be able to add it to their spell or prayer book, casting will have to wait until they level up. Similar things can happen for new feats or abilities for other classes. Fighters and rogues may meet an NPC who teaches you a new combat move or a new technique for lock picking but you want be able to take advantage of this new found knowledge until you've levelled up. Everything you do, I believe XP should not be awarded just for killing things, in fact there are times when penalties should be awarded for this. If the plot demands that an NPC is captured alive rather than killed, I prefer to award full XP only if they achieve this, half or no XP will be awarded if they end up killing them. "Roleplaying" awards are generally given for interesting or successful non combat encounters or for discovering clues and progressing the plot. Making me laugh is a sure fire way to gain XP. PCs make spot hidden object or search rolls. PCs can suggest the type of trap they are looking for and I modify the target number if they are warm or cold. I don't encourage or discourage them. They tend to be expendable level 0 NPCs which I control or if every party member has one I'll make sure that each player plays someone else's retainer. Their Morale will be based on a D20 roll under their WISDOM score. Absolutely, if you can find Ye Olde Magick Shoppe. I prefer that some magical things are not solely the preserve of Mages, so Scribes, Apothecaries, Priests, Monks, Druids and Alchemists may also be able to knock up potions of healing, wards, scrolls or other such items. Yes, if creation can easily be worked into the regular game sessions, otherwise it's reserved for non-game time between campaigns. I'm happy for a player to retire their character in the middle of a campaign if they absolutely have to but they run the risk of the party never returning to that location again. This has not happened to me so far. All the time, I don't try to force party cohesion, some classes work best when they are working alone. When in cities it is often necessary for you to investigate several leads at once. If there's going to be a big battle then try to bring everyone together for the best chance of success. I am often reminded of the standard Dr. Who plot exposition which goes like this: Tardis lands on planet, Doctor and assistant get split up and each find a group of protagonists. An event occurs and the Doctor and Assistant swap groups of protagonists. Doctor reunites with assistant and they determine which group of protagonists are Good or Evil. Doctor and Assistant side with Good protagonists and defeat evil or unite protagonist groups. 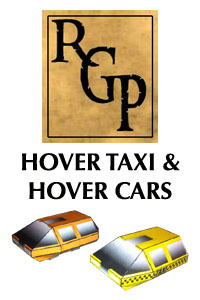 RGP is proud to announce the first in a new line of Paper Miniatures with the release of RGP011 - Sci-Fi Scenics Set 1: Hover Taxi and Hover Car.